Frontera Group London are a creative digital agency based in the UK and Medical-artist.com were commissioned to create medical illustrations for one of their projects for a pharmaceutical client. 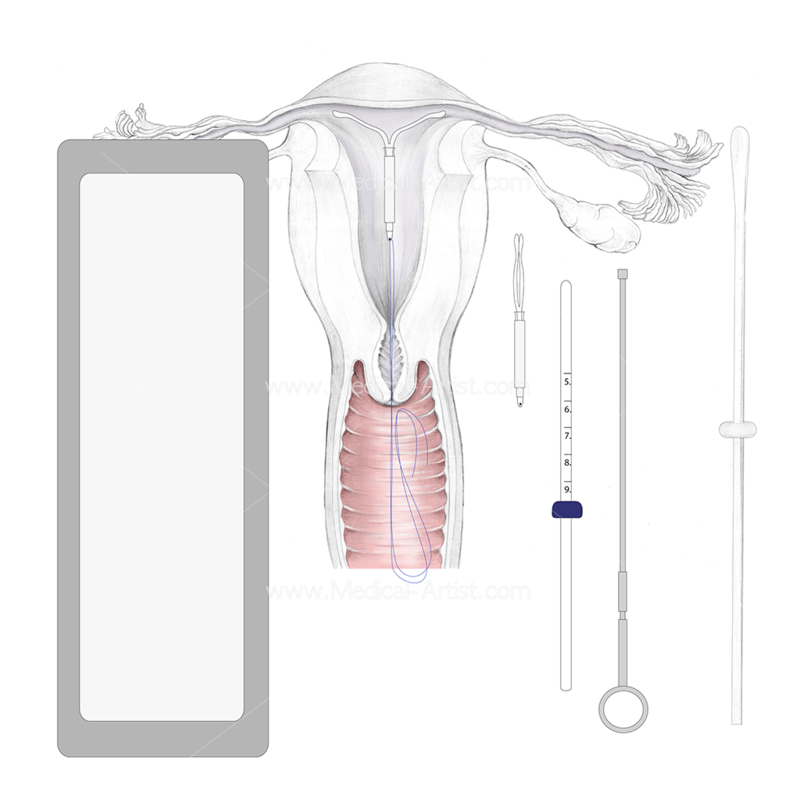 The content of the illustrations were to show how an inter-uterine device (IUD) or ‘coil’ for women is inserted into place as a form of contraception. 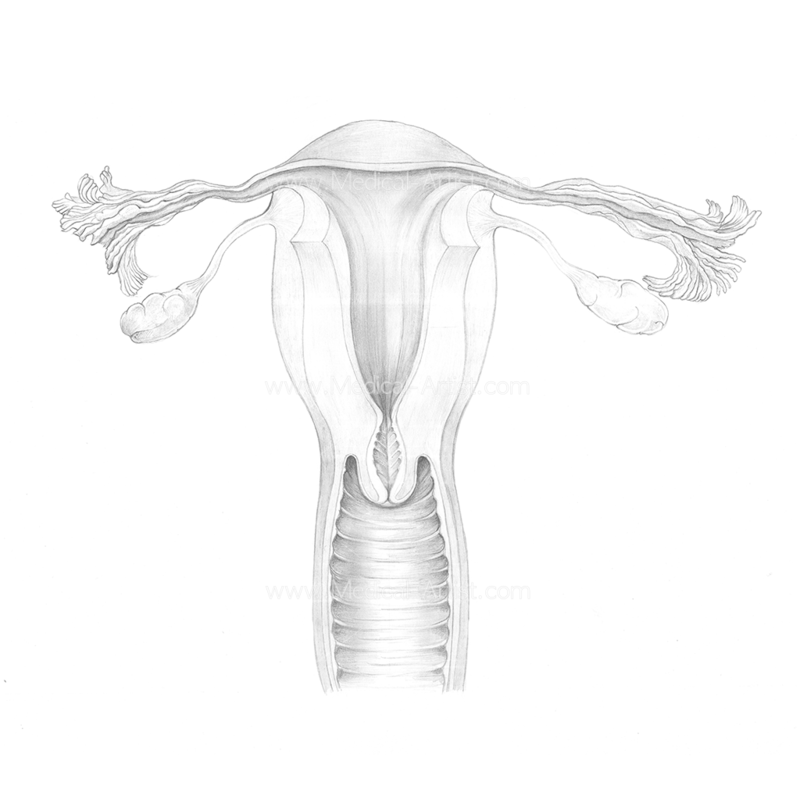 The medical illustrations specifically needed to be created in pencil due to the fact that the medium was to help bring a certain look and feel to the finished product. The illustrations also needed to be created in a way that they could be incorporated into an animation and video to be used by health care professionals in the work place. The video was going to be used by healthcare professionals to demonstrate to patients the benefits of the coil and insertion techniques when used as a form of contraception. A video and the use of pencil illustrations was deemed the most effective form of communication due to the fact that pencil has a soft and gentle aspect to it which would come across on the video and help educate patients about the specific insertion procedure. The team were requested to complete the project because it required graphite pencil illustrations to be used within the animation where most animations typically use digital illustrations.The client required a medium to reflect a softer look and ‘feel’ to the illustrations so the pencil medium was chosen for this project. 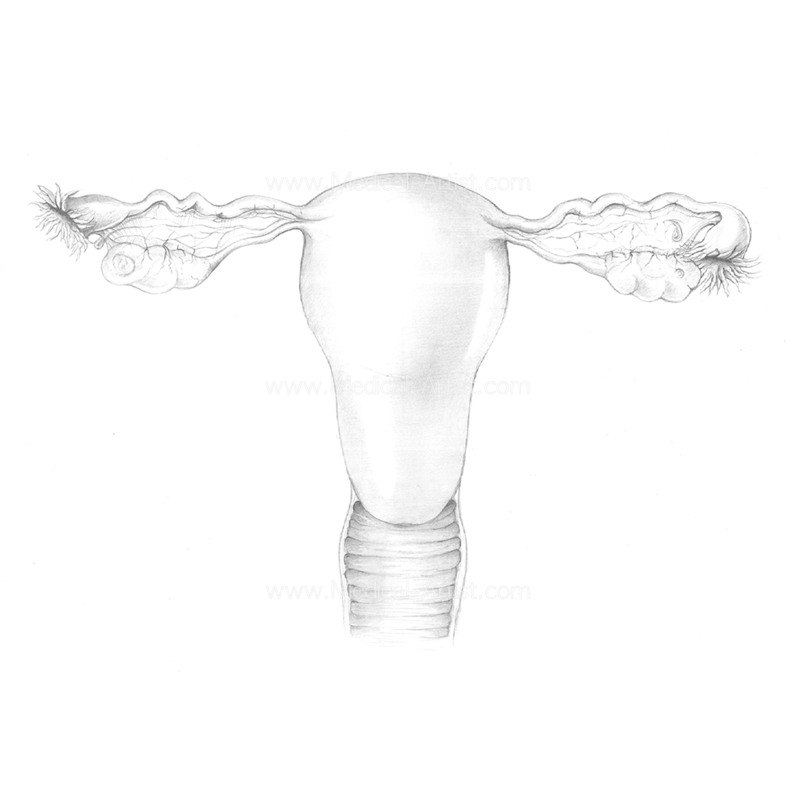 Graphite pencil was the preferred choice to depict the properties of the IUD and the insertion procedure along with the female anatomy so that it would seem more appealing to those patients watching the animation. 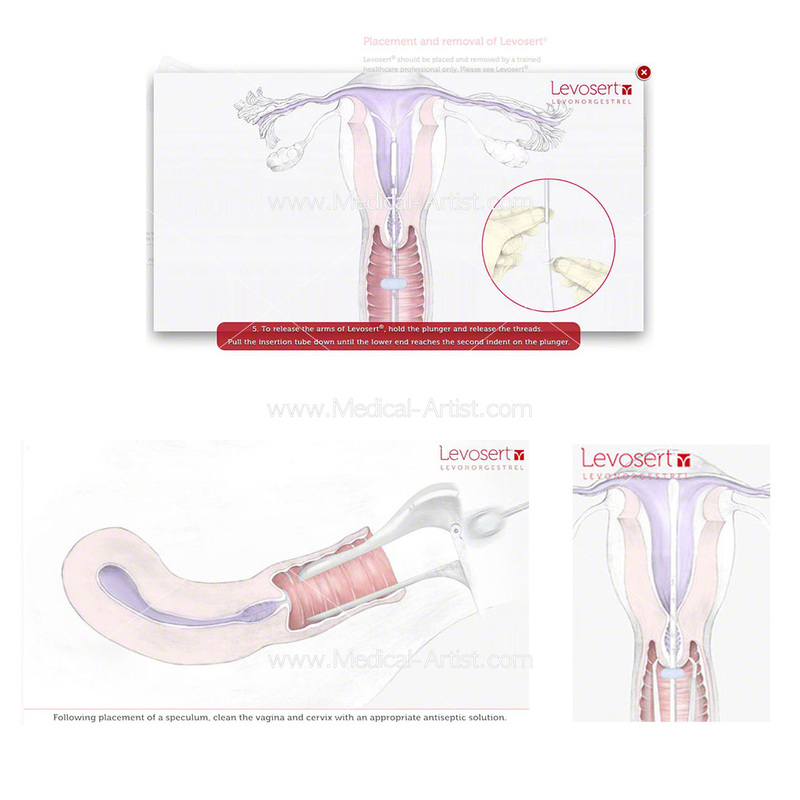 Unlike many medical art agencies that only use digital mediums, Medical-artist.com are highly experienced in using many different forms of illustration mediums. To do these illustrations we used graphite pencils and onto a high quality Bristol Board paper as it has a very smooth surface ideal for detailed work. The drawings were scanned at a high resolution and saved as a TIF or JPEG file. Every element of the drawings were scanned so that there was series of individual drawings ready to be transferred into a digital format for animation. This was done by saving each scanned drawing as a Photoshop file and cutting out the white background so each individual drawing was a stand alone image. These elements would now be ready for animating. 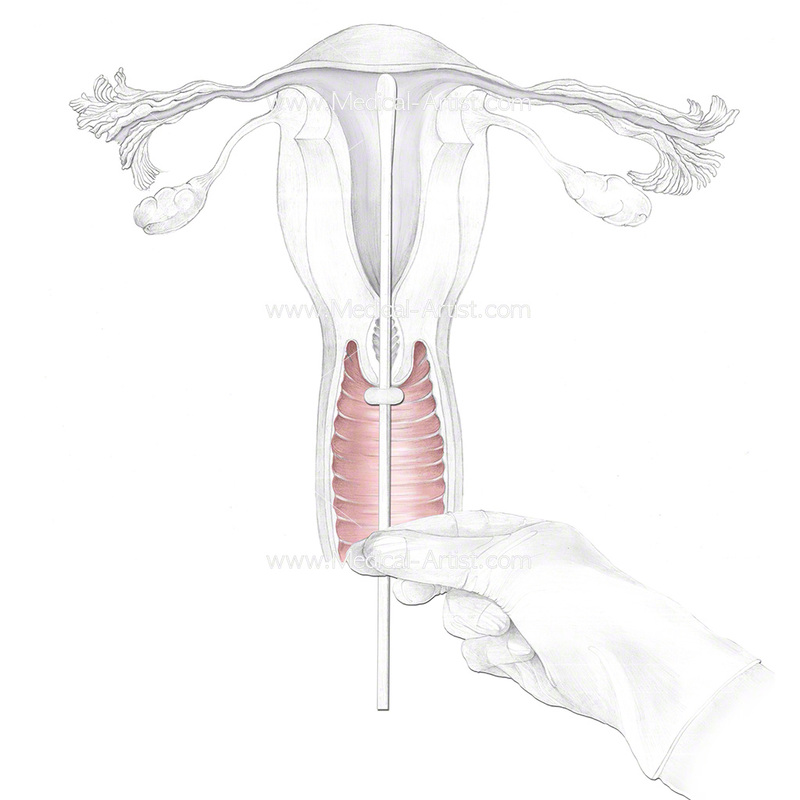 The artwork needed to comply with the client’s brand guidelines, such as the specific branding colours, the pencil style, the IUD interpretation as well as it having absolute anatomical accuracy. In addition, the illustrations needed to conform to the specific style and look of the brand to make sure they would seamlessly fit with the client’s existing branded artwork. 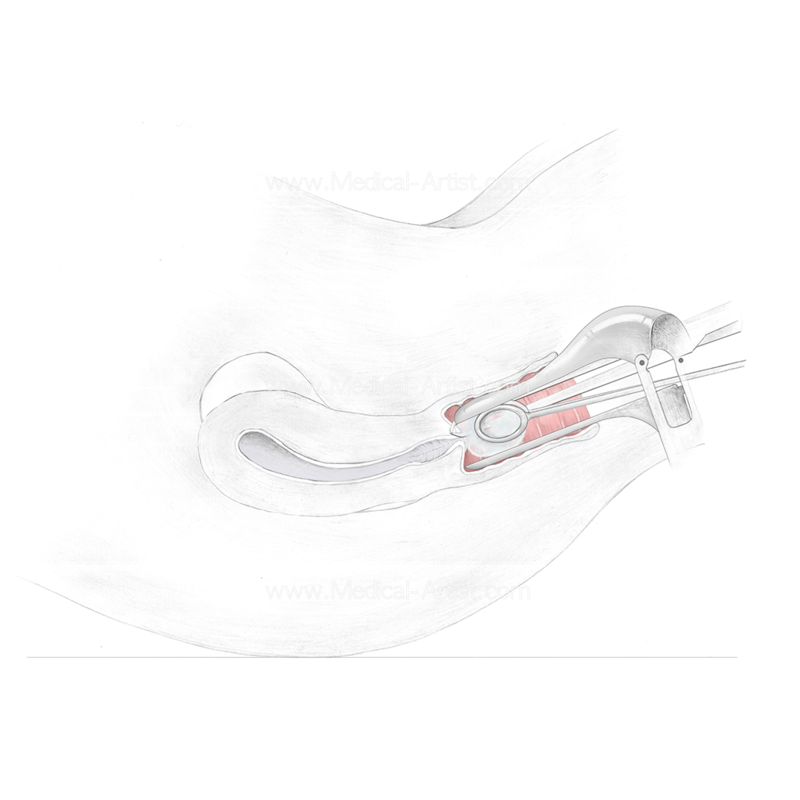 Each individual illustration needed to be drawn with high precision and clinical accuracy to ensure it represented the exact medical interpretation of the device and insertion procedure. 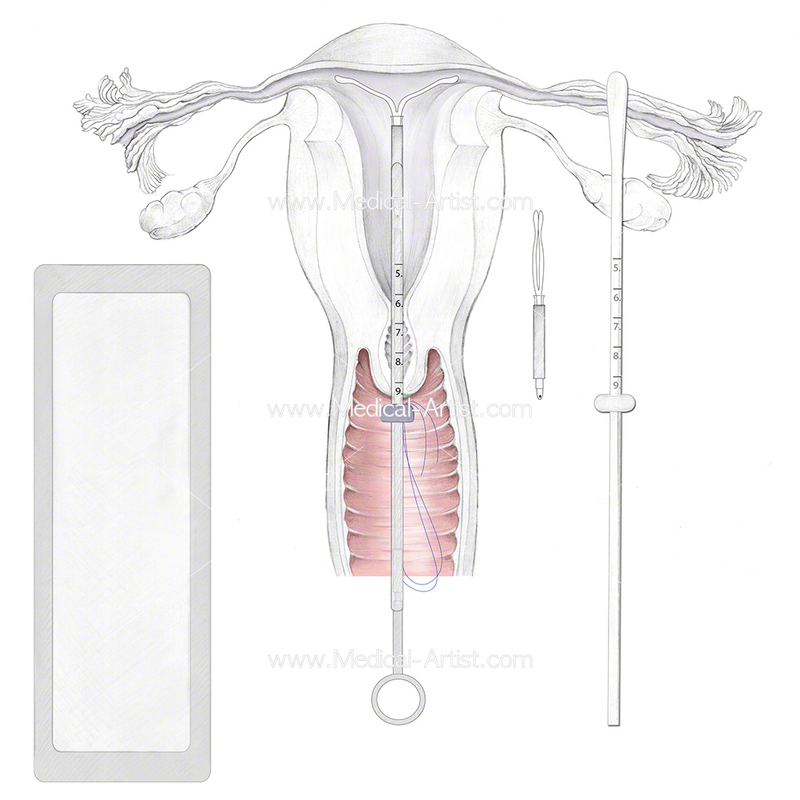 The IUD device was couriered to the Medical-artist.com studio so that Joanna could refer the real deice to create a precise, to-scale drawing of the device. The proportions of the IUD are unique to the specific brand of the product so it was critical that the dimensions and proportions were an exact replica. Frontera Group London said they were delighted with the illustrations and said, “The illustrations were loved by everyone and most especially be the client“.